Landscape patterns vary widely across Earth’s surface as a result of both anthropogenic and natural causes. This variation among landscapes can be quantified by using a large number of metrics developed to capture distinctive qualities of spatial pattern. An informed understanding of pattern–process relationships involves landscape comparisons among and within regions. 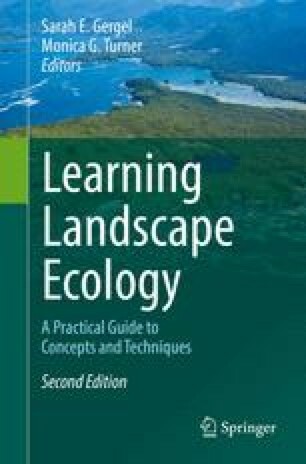 Despite many advances in landscape pattern analysis, informed selection of landscapes for studying pattern–process relationships in real-world situations remains challenging. This lab explores these challenges with objectives designed to enable students to.